I hope you all had a great start to 2013! 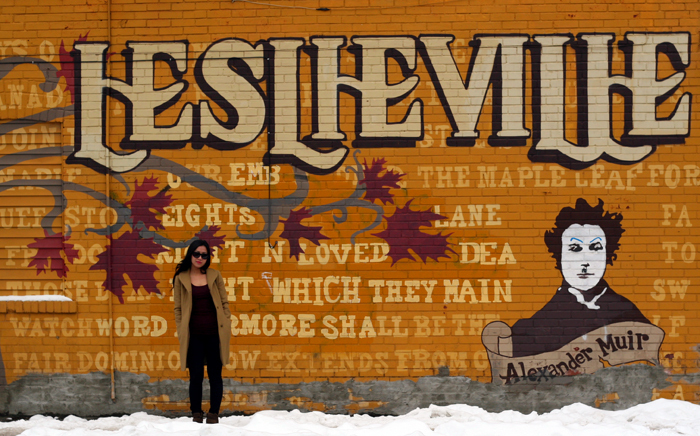 We decided to take a stroll through Leslieville on New Year’s Day and found this great mural painted on the side of a building. Leslieville is such a quaint and unique neighborhood in Toronto, one of the most frequented brunch areas we visit on our weekends. Some favourite eateries include Bonjour Brioche, Gio Rana’s, and QMP to name a few. I haven’t seen many sunny days in the last week, so I took the opportunity to sport my KayTran sunnies (gifted from KayTran) while I finally saw a glimpse of the sun. 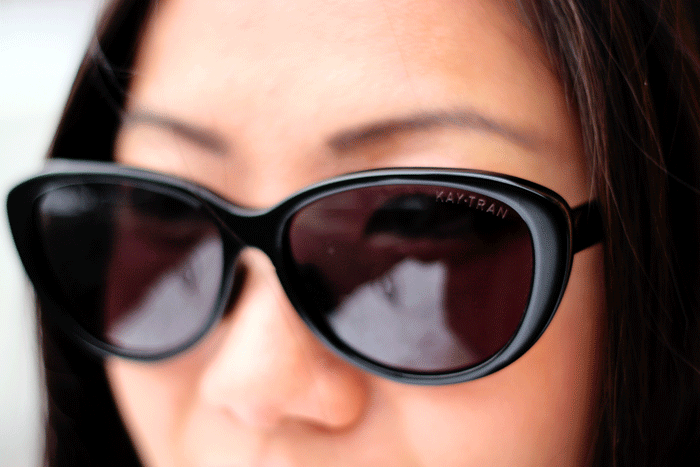 If you’re like me and have trouble finding sunglasses that fit properly, a pair that doesn’t slide down your nose, rub against your cheekbones, leaving marks on your face, then you’ve got to try a pair of KayTran’s pieces. Read further for more on KayTran L.B.T. fit and a special discount treat for you. KayTran calls it “give your eyes some L.B.T.”. That is – Lens Curve Reduction, Bridge Adjustments, and Temples Angles Widened. I’ve always had challenges when it comes to shopping for sunglasses. I find that most of them slipped down my nose and 95% of the time, the frame always touched my cheekbones, causing marks on my face and my makeup would rub off on it. KayTran has specially designed their eyewear to eliminate such problems. Until January 21, 2013, KayTran’s online store is offering My Little Secret readers a special discount. Enter code ‘secret’ at check out to recieve $75 your entire purchase. First day back at work for me after having nearly 3 weeks off! If you’re back to work as well, I hope you have a great first week of 2013! Thanks for reading! I hope to bring you more interesting topics in 2013. In love with that jacket! I’m thinking of purchasing, could you tell me what size you are wearing here? 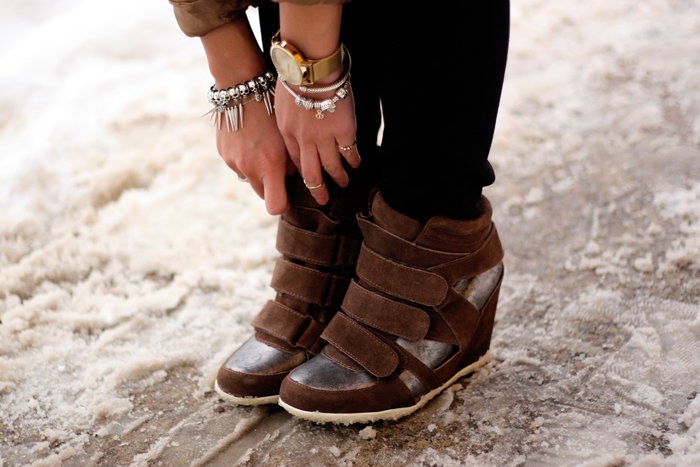 Hi there, I came across your blog when I was searching for images of the aritzia cocoon coat. What are your views on this coat? Is it warm for temperatures lower than zero degrees? What do you think of the quality? Do you remember how much you paid for it during Boxing Day sales? I saw this coat but was not able to decide if it was worth the price and warm enough.